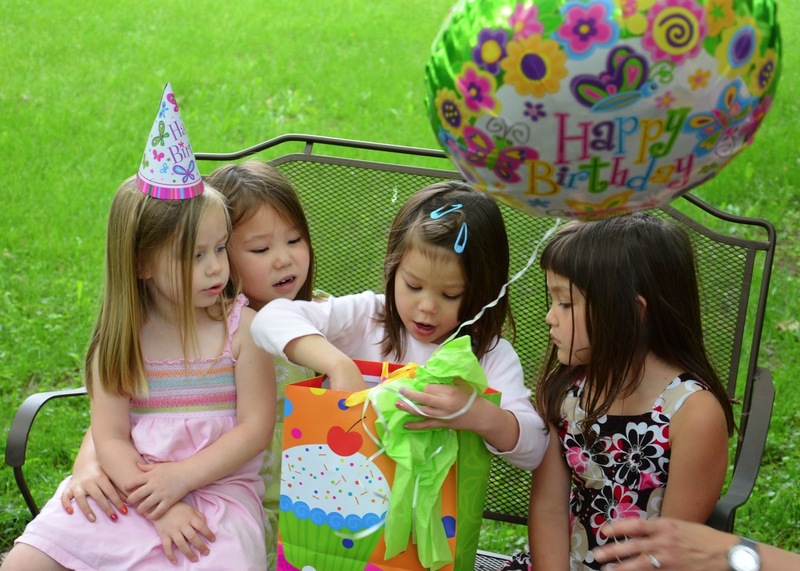 We celebrated Kate's birthday with her friends and cousins last weekend. Even though Kate's actual birthday is in April. Was it a particularly bad case of procrastination? No. It was a bad case of weather. 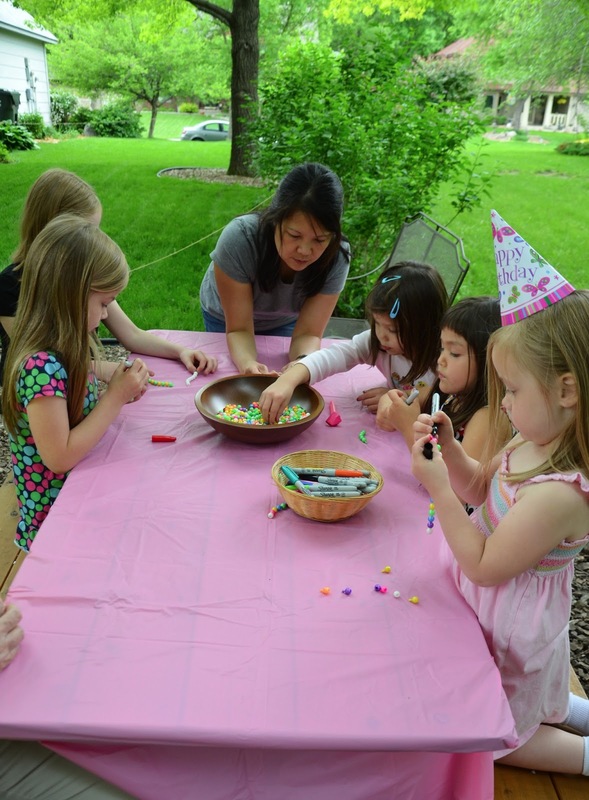 After having hosted nine kid-birthday parties over the past few years, we've come to the conclusion that the only parties worth our time and effort are the outdoor ones. 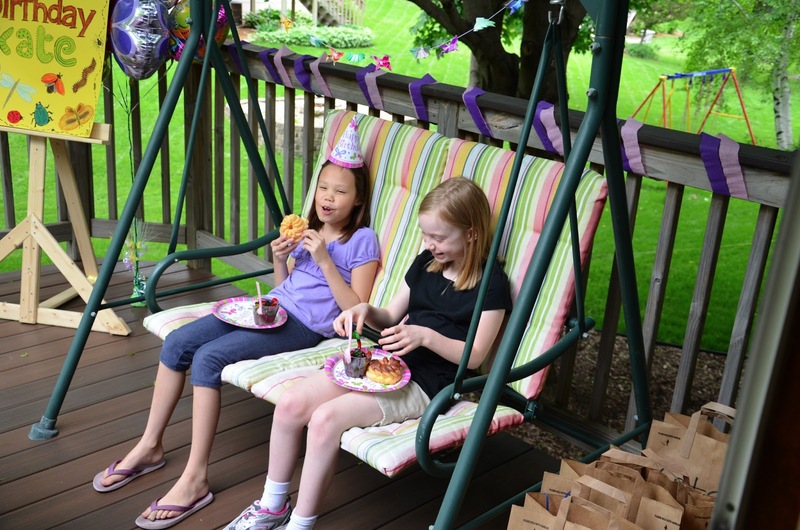 Good outdoor weather contributes to at least 90% of the enjoyment of the party. 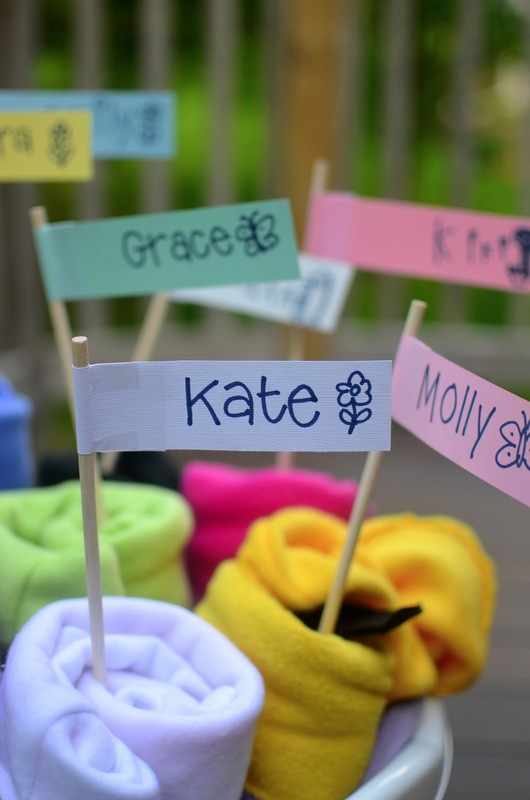 Forget the fancy crafts or amazing cakes or astounding coordinated decorations; just let there be open space for the kids to run and play and socialize in, fresh air and natural light for photographs to immortalize the fun. So we've decided that, henceforth, all our kids' parties will be held in the summer, regardless of their actual birth months. We'll celebrate their real birthdays on the day itself with an intimate thing with family and treats and a special meal and then throw the friends-bash in the summer. This means manic, concentrated summer birthday planning for me (boo) but gorgeous photos and happy, uncabinfevered children (yay). Definitely worth it. 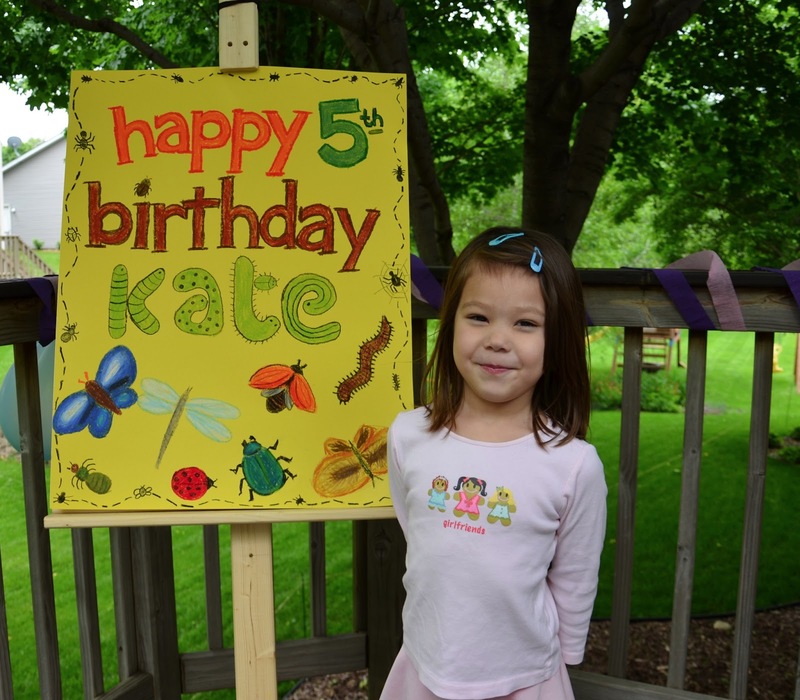 Kate asked for a Bug birthday party. "No. Bugs." Kate clarified, wiggling her fingers to illustrate. Earlier in the year, she had her heart set on a Princess birthday party. So I planned it. Wrote it all out in my notebook, even. It was awesome. Not a single Disney princess element in it. It was full of questing, courage and running headlong into danger to rescue victimized villagers. All while bedecked with jewels. And wielding swords. Which were also bejeweled. "Actually, I want a Wonder Woman party." She declared some weeks later. "So... Superheroes, then." I said, weakly, mentally envisioning my grand Princess plan vaporize. "Hey!" said Emily. "I called Superheroes for my party, remember?" "Okay." Said Kate. "Then I want bugs." So utterly random that I was blindsided into agreeing. Fascinating, isn't it -the evolution of party themes in our home? So Bugs it was. After a discussion with the girls on the definition of "Bug", we picked the more generic "critter/crawly thing/gross wriggly nightmare you don't want to see in your food" over the more precise "Phyla arthropoda vs. annelida vs. 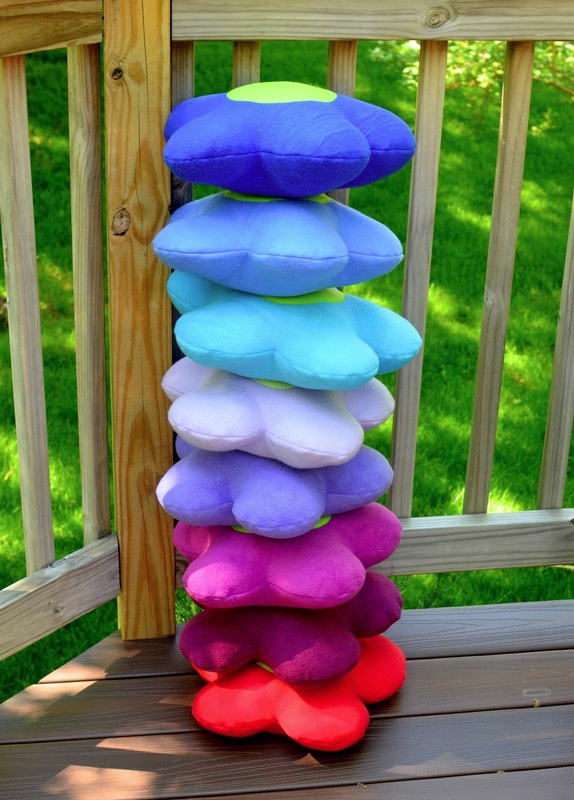 platyhelminthes." I pinned Kate down after that and made her commit (as much as a five-year-old knows how to) to that theme, and we got to work. and a random poster I drew the night before. See those segmented green worms making the K in Kate's name? Immediately after drawing them, I felt so ill that I turned the other, subsequent green worms in her name into harmless cacti. 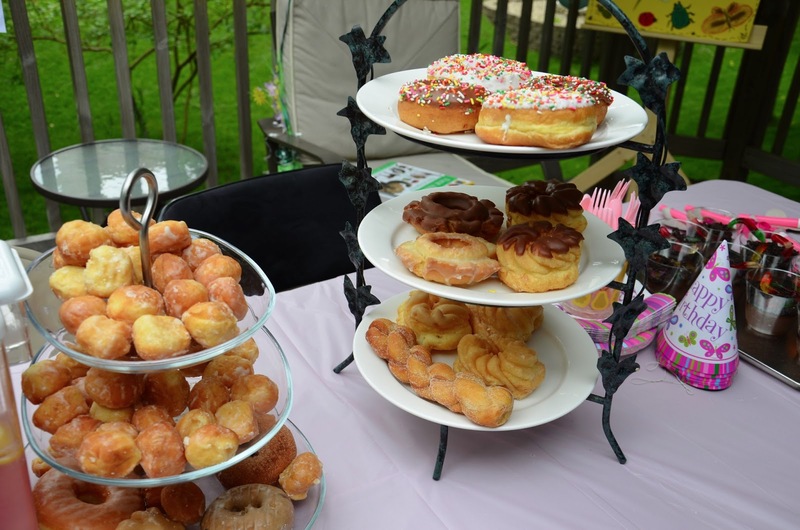 Kate does not like cake and asked specifically for donuts, so we obliged. I have learned (thank you, nine birthday parties) that ice cream and cake are messy. And, ironically, a surprisingly many kids don't like cake or ice cream, or both. Well, then, donuts have just become the new cake. 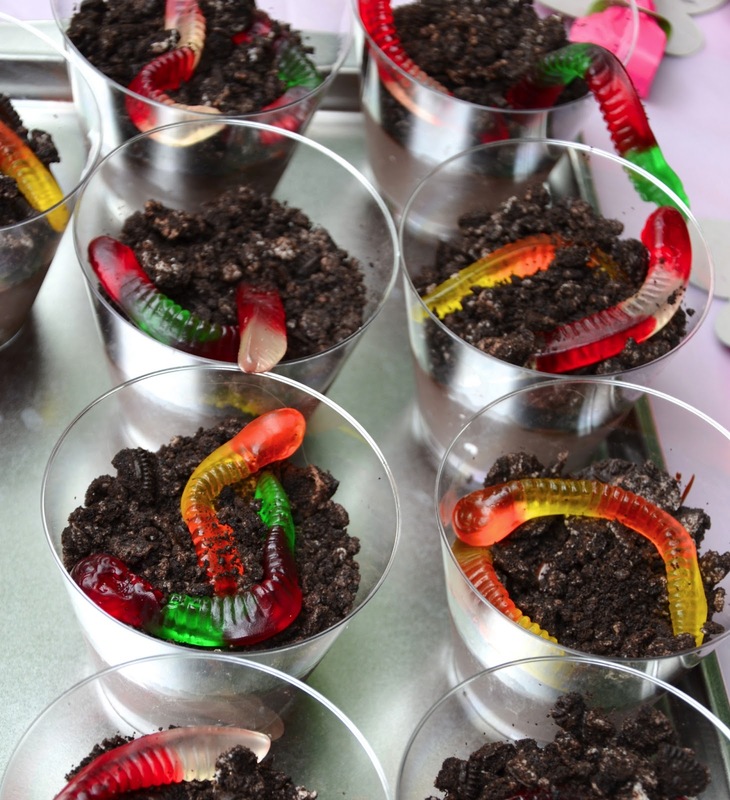 Purely for the fun factor, we also made dirt cups with worms in them. These were not a hit with the kids and -again- I learned a new party lesson: kids do not like party food that is fussy. Grown ups like party food that is fussy because it impresses them visually. Kids are more sincere - they like finger food, pizza and popsicles. Although ... maybe it was just the worms that were demotivating to eat. There was something for everyone, anyway. We started the party with gift-opening, as always. We like to take the time to enjoy the gifts and the givers' enjoyment of us enjoying their gifts. 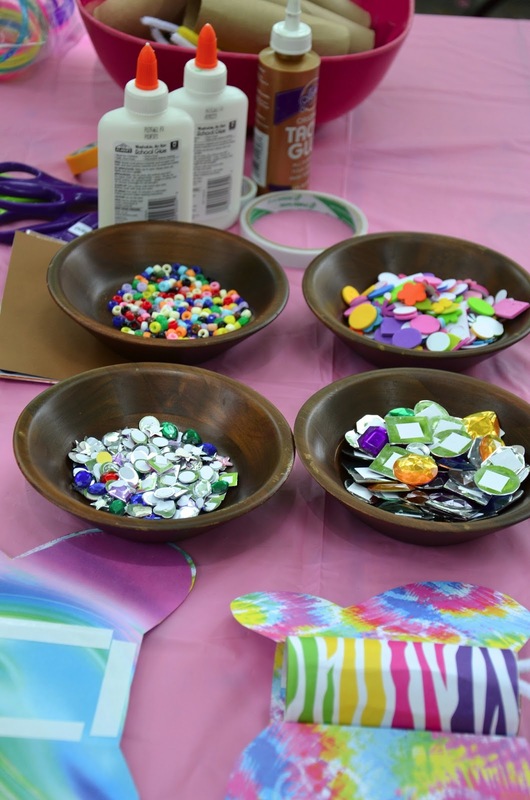 Then we began the crafts. 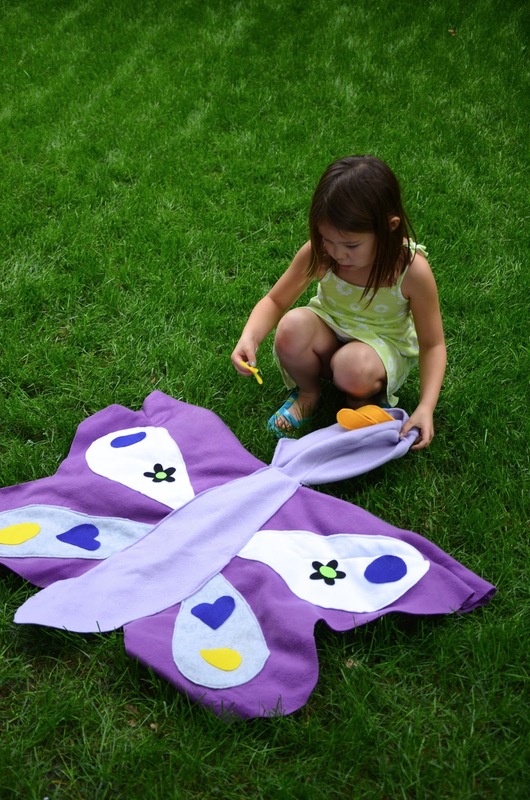 First, we made a cardboard butterfly toy. 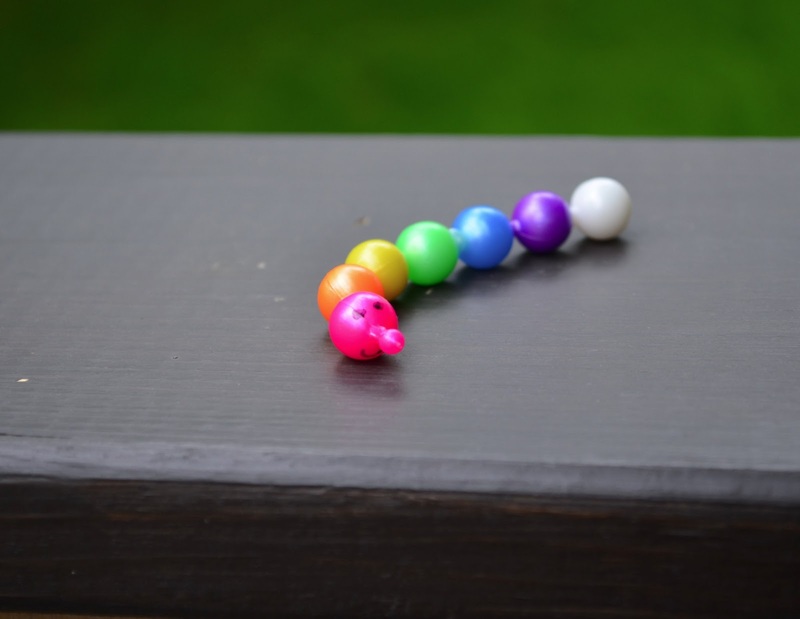 After that, we did something simpler: pop-bead caterpillars. 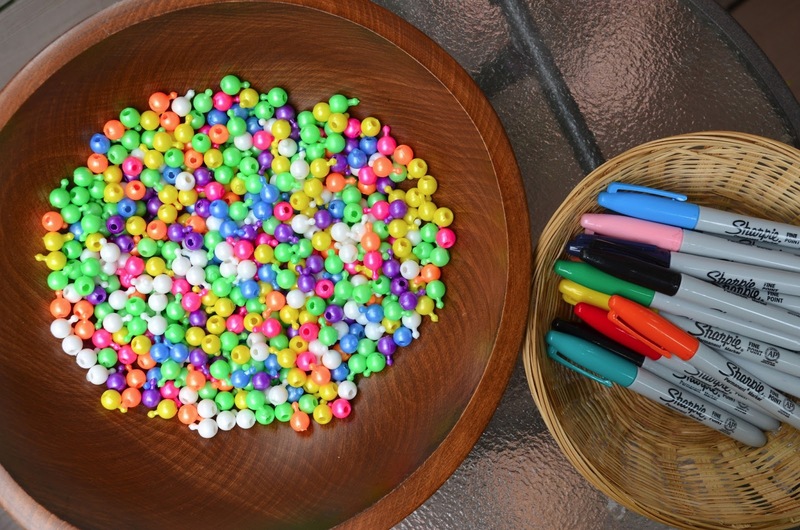 Some of our guests were little, so this was an activity they could do without a whole lot of adult help - just pop the beads together and draw faces and other gross larval features with sharpies. 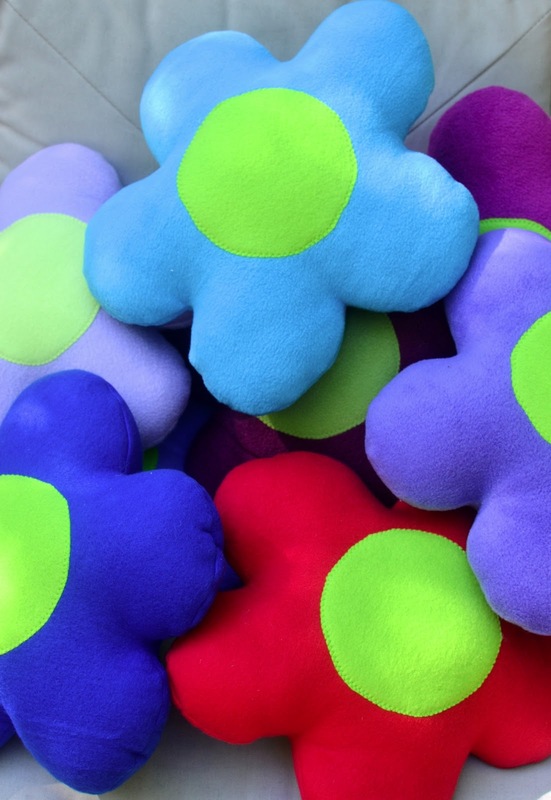 to personalize with self-adhesive felt shapes. 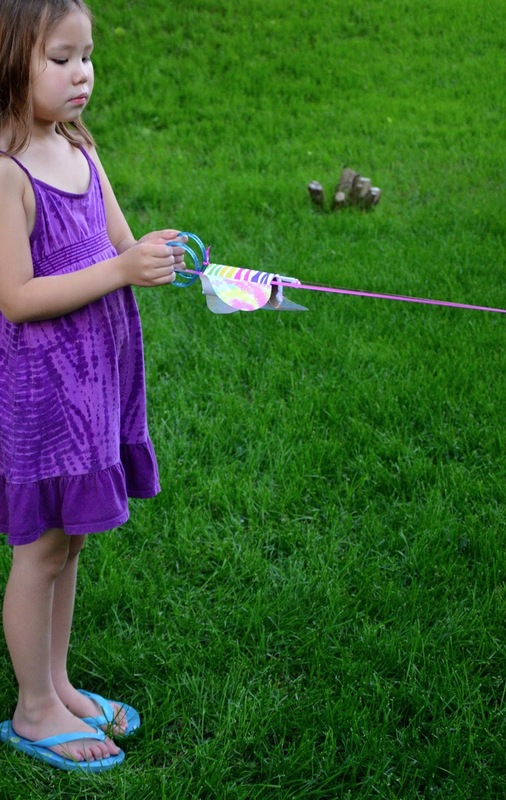 which were labeled with individual names and hidden around the yard for butterflies to find. 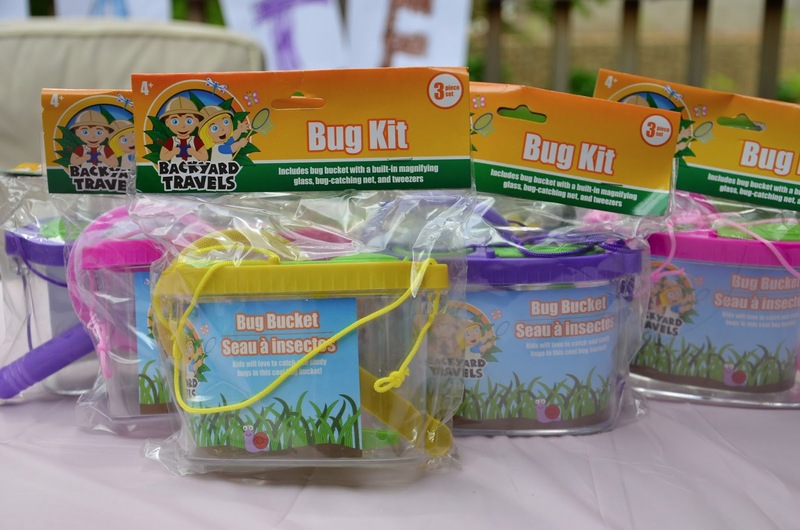 and a bug kit with which to terrorize their parents (or maybe it was just me). 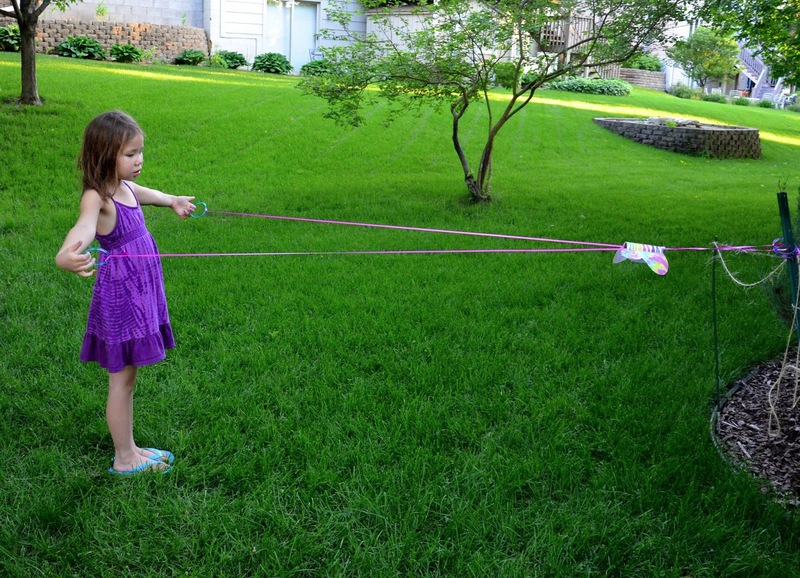 After the party, the girls armed themselves with their kits and made me hunt for caterpillars to keep as pets. 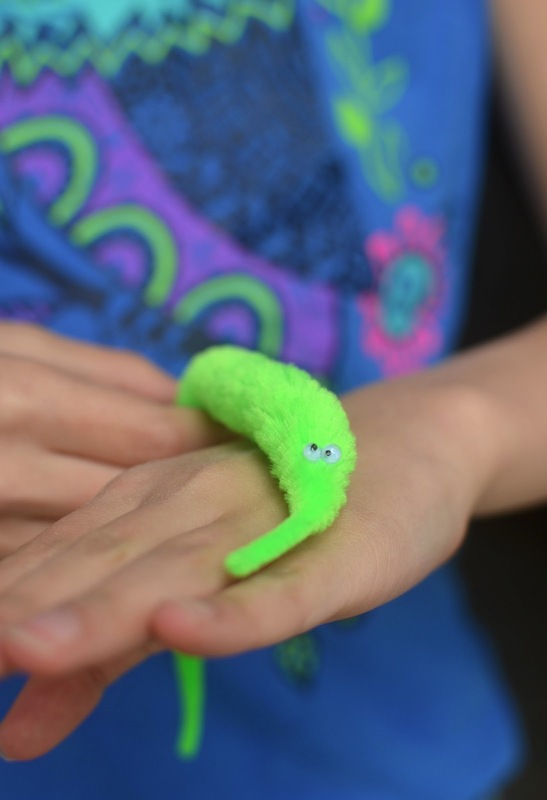 I almost passed out when one of the cousins found some sort of larva and showed it to me. I didn't find any myself (yay) and the girls were sooooo disappointed. As compensation, I offered them each an ant from the sandbox and Emily got an unlucky spider that didn't get away soon enough. Tutorials to follow - soon. I'm still recovering from all those caterpillar and worm close shaves. 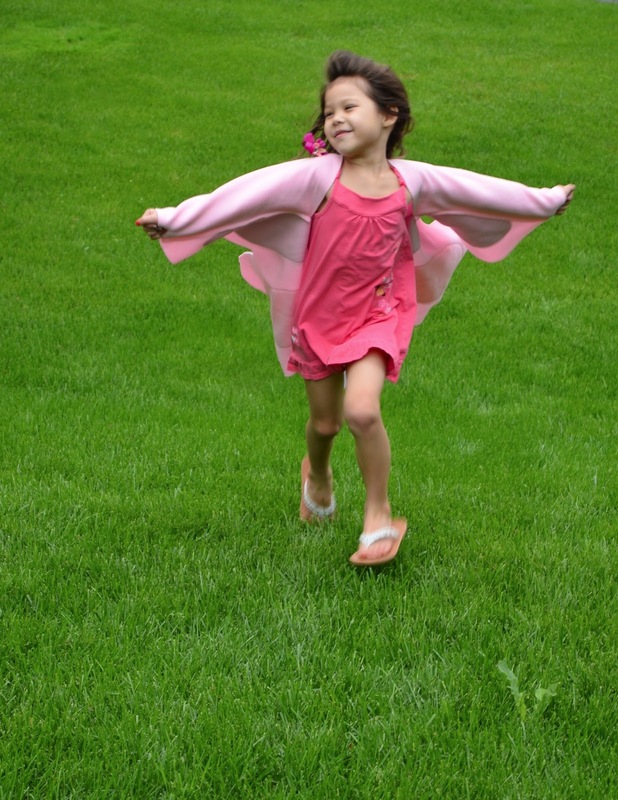 Good news, though: judging from all the bugs we did find, I think summer is finally here. Although in Minnesota, one never really can be sure - I mean, it could snow tomorrow (heaven forbid). 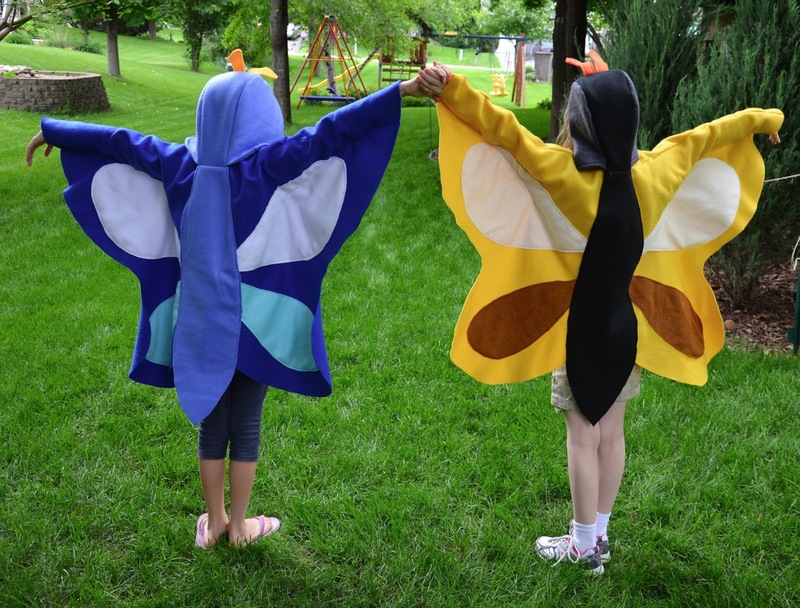 The butterfly cape is impressive! I've been reading your blog for two years and each project you made has opened up my eyes! Those butterfly wings are SO AWESOME!!! Well done LiEr, as usual. That looks like a great party ! We are doing a birthday party for my 2 kids next Saturday, and their actual birthday is in January... for the same reason. It will be tie-dye, but I will probably steal some of your ideas from former parties as well. You should make a book of parties ! It looks like a lovely party. 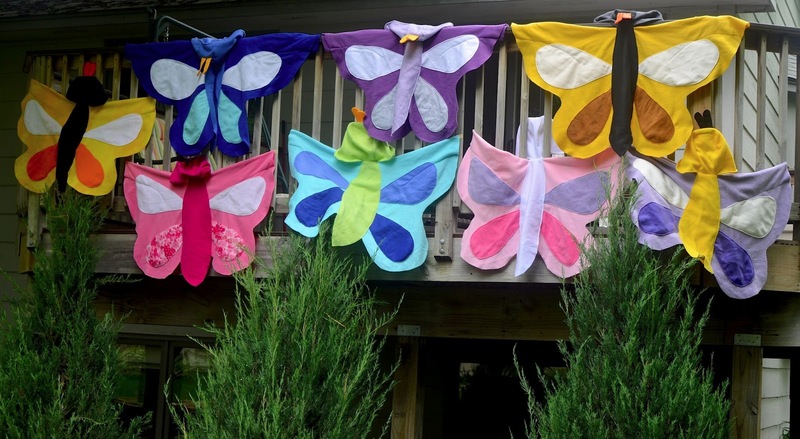 The butterfly costumes are adorable. 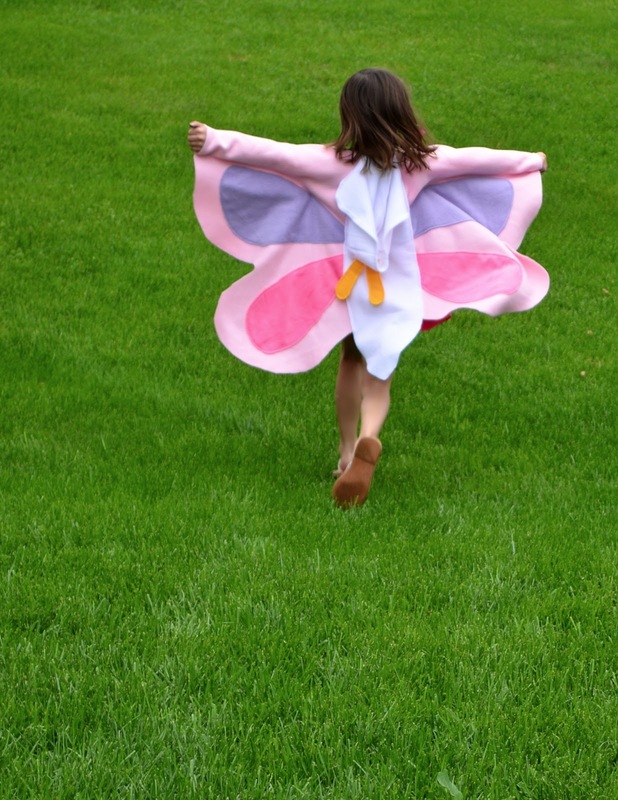 My little one (nearly 5) spied it as I was reading, and instantly wanted her own butterfly costume too. I have my fingers crossed that you'll post a pattern - hint, hint!! Such a beautiful celebration of all things Kate! The details are just perfect, those wings are magical. 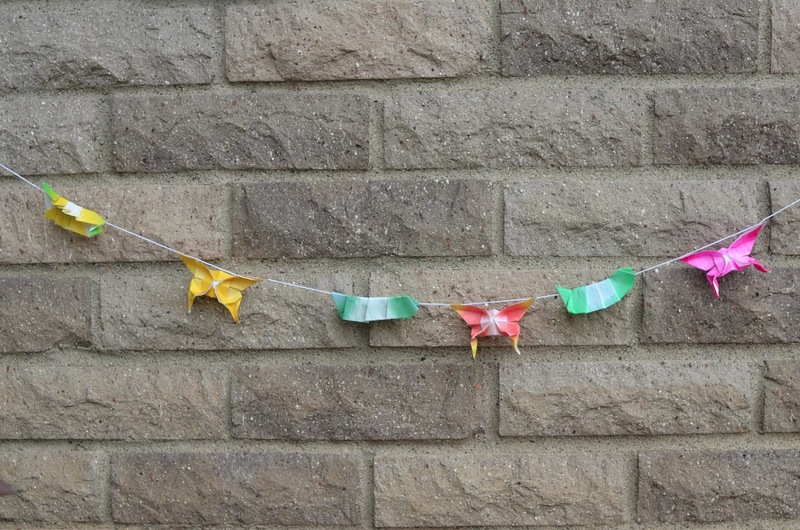 I completely agree with you that the best celebrations are ones outdoors. Happy Birthday Kate! Another fabulous birthday party! 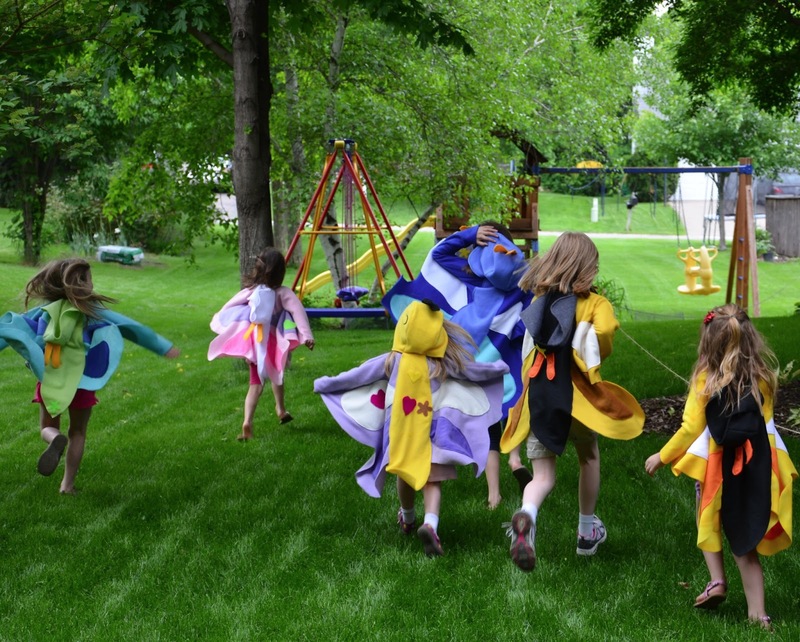 Those butterfly wings are super cool, and the girls looked like they were having so much fun flitting around! Excellent. P.S. I agree with you about fussy foods, but I will say my sons would have made short work of a cup of crushed Oreos. Those butterfly wings... love them. 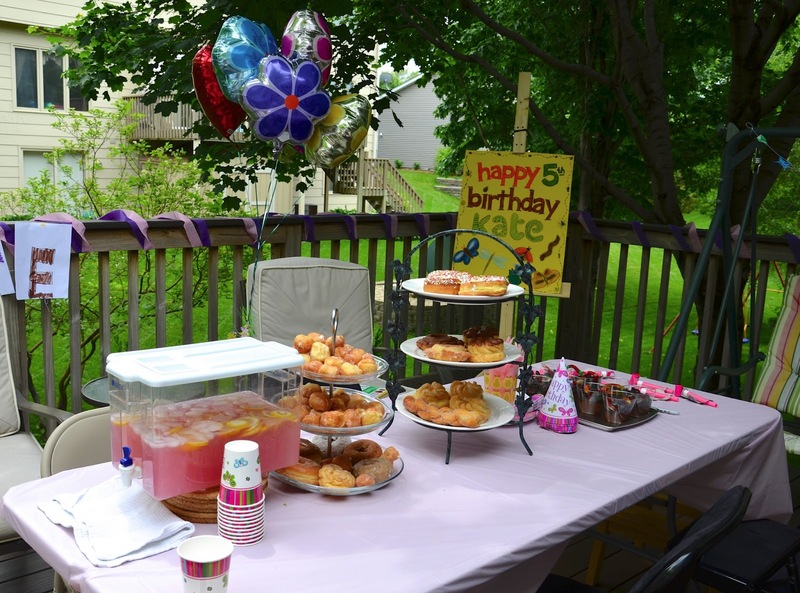 your 9 birthday parties were all gorgeous! So many things I loved about this post. 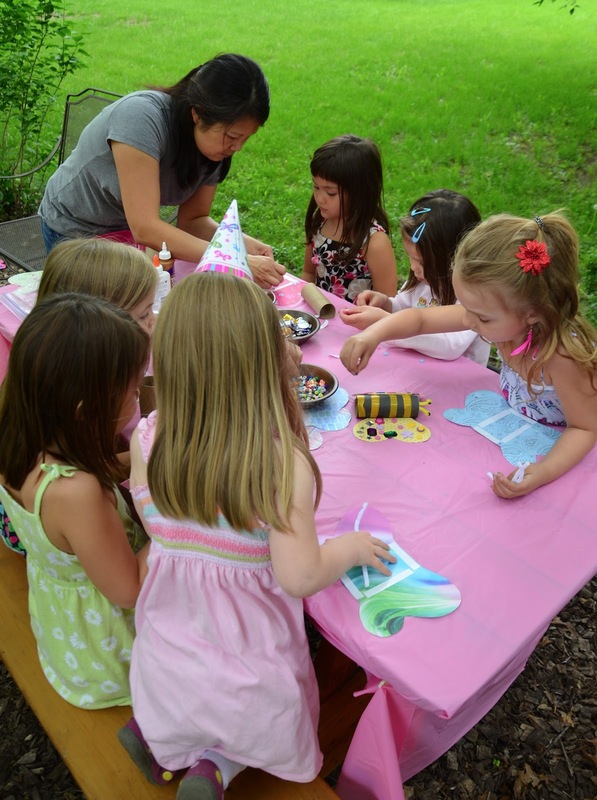 We were all set to throw a bug party last month for my 4 y.o when 6 weeks before her birthday she changed her mind. She wanted a Johnny Cash party lol! And she stayed committed to that theme so that is the party she got. 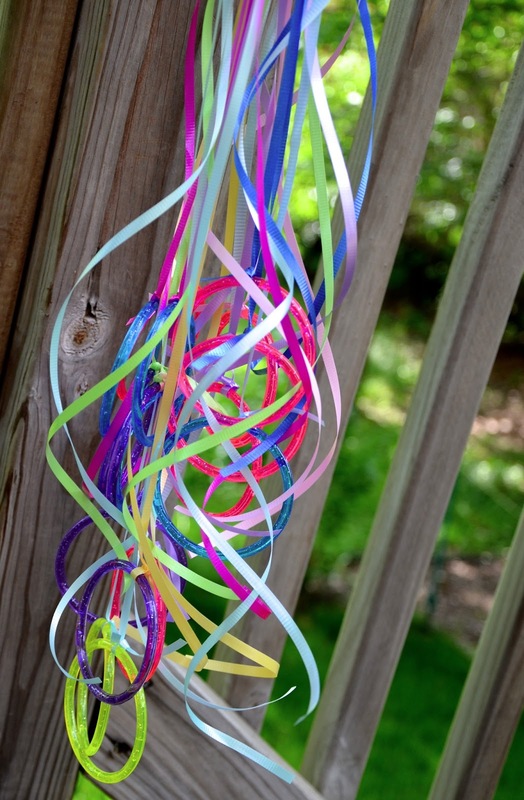 Not easy to find Johnny Cash party ideas that are also kid-friendly. After this post I am now very happy she abandoned the bug theme. Your party looked amazing!!! So much better than what I was originally planning. 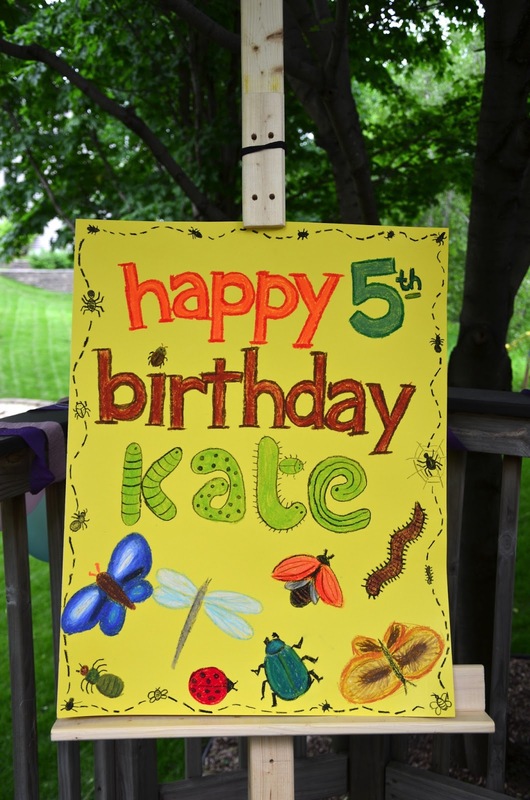 I am going to try to resurrect the bug theme for next year when she turns 5 so I can borrow your brilliant party ideas. That will be her first party with friends (up until now it has been family only) and I can imagine how much the kids will love those wings. Btw, my 10 y.o. daughter used your Rapunzel wig pattern and made that as a birthday present for her little sister. 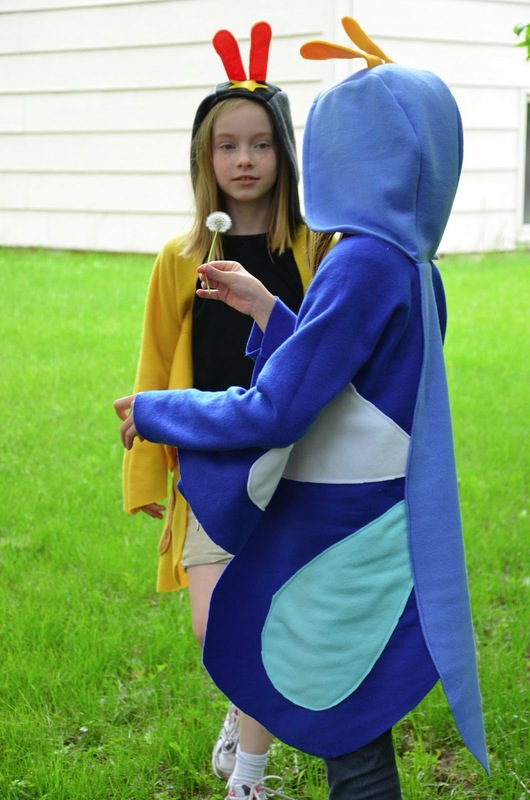 It turned out really well and has quickly become the favorite item in our dress up box. Awesome!!!!!!!!! You are truly gifted!!!!!!!!!!!!! 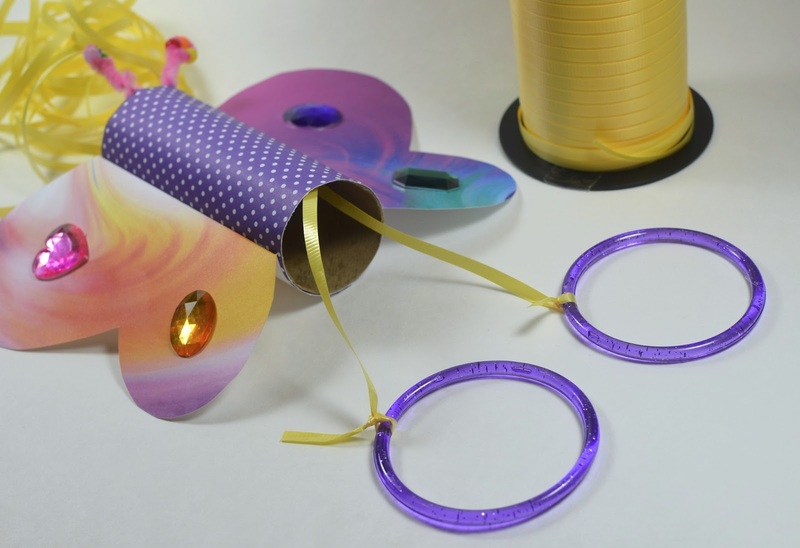 I love the butterfly idea! My niece wanted me to throw her a bug party when she was little. She is an adult now so I don't remember all the details but we did purchase a butterfly garden and an ant farm for the occasion. Oh you are so right about party food. 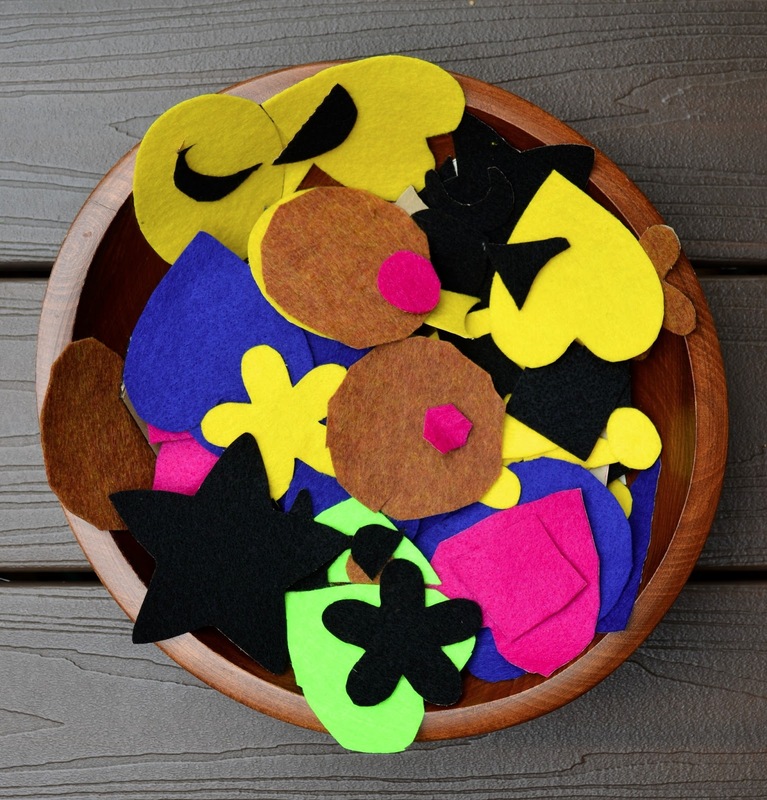 Kids stick to familiar and tested foods, and are not at all impressed by all the 'themed' special treats - even if they are just ordinary things disguised somehow. Don't Forget That Google Reader Is Going Away!